The technology of Avoyd - multiplayer networked voxel octree game engine using cross platform C++, OpenGL, Runtime Compiled C++ and enkiTS. I decided to write this post after reading about a very cool procedural NPC name generator and thinking that it might be of interest to show a much more basic example. This post is intended for people who have never used procedural generation and know very little programming. The examples are written in Python. I'll do my best to keep things simple and introduce the complexities progressively. The algorithm is basic: names are generated by randomly assembling four syllables. First I'll explain how it's built, then the features I added to it to make sure the names are within an arbitrary size range, and more importantly, unique. It's rare for me to read a blog post and immediatly put the information to use, but this post from Aras Pranckevičius (@aras_p on twitter) Best unknown MSVC flag: d2cgsummary is one. Within a short time I had cut elapsed compile and link times for Runtime Compiled C++ live coding with Visual Studio by 1.5x, and eventually 3x with total compile time (total time for all compile processes in a multithreaded system) down 10x. This post explains how. 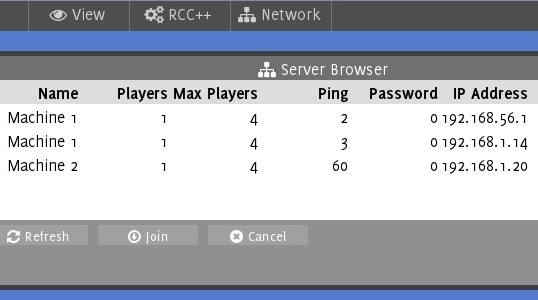 Adding a new menu item using RCC++ with the changes made to improve compile times. The above video compile time was a little longer than I finally achieved due to FRAPS taking some CPU time. In this post and video I'm going to cover the recent changes I've made to Avoyd's technology to add shadows, ambient occlusion and procedural texturing. I'll describe simple procedural texturing and its anti-aliasing, along with the use of voxel octree data to generate lighting and ambient occlusion using ray casts and 3D textures in the game Avoyd. There's a good deal of information on all of these topics online, and they certainly aren't novel additions to a game - however in Avoyd I'm taking a slightly unusual approach so I thought it worth documenting. It's worth checking out the video before reading further. 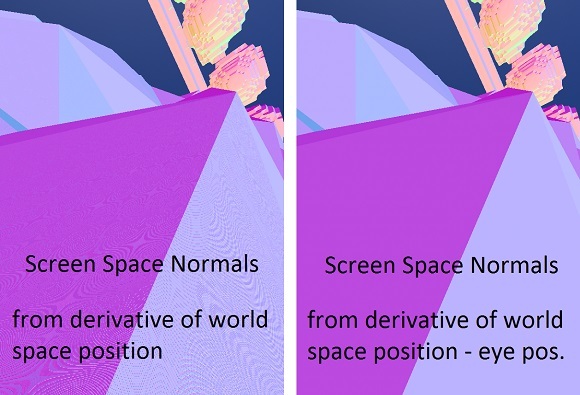 This post follows on from earlier posts on Octree Streaming. You should be able to read them out of order, but you get cake if you read part 1 first, then parts 2 and 3. The video showcases three players zooming around at high speed in an environment being streamed from one player's PC to the other two, with the recording being done on one of the clients. This devblog post is about the steps I took to get this working smoothly. 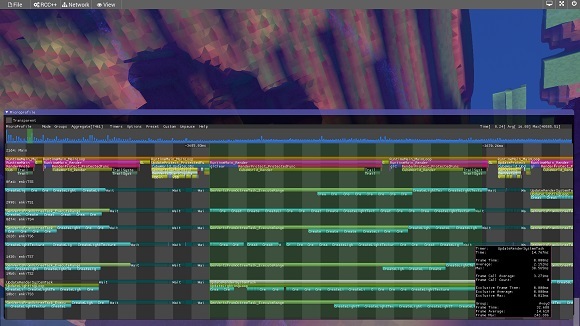 Performance tuning is a large and varied topic, so I'm going to concentrate on one aspect which came up during development of the streaming system - framerate hitch removal. A framerate hitch occurs when one frame takes longer than most of the rest of the frames. To the player it can feel like a sudden start/stop. If frequent, the game takes on the feeling of being played on sandpaper. The post follows on from the earlier post on Octree Streaming. You should be able to read them out of order, but you get cake if you read part 1 first, then part 2. This tech update video shows off multiple players rapidly and smoothly editing fairly large sections of the environment whilst in edit mode. Materials and rendering are all still simple debug visuals for clarity rather than beauty, but there's still a fair degree of artistic freedom available. It's a real pleasure being able to carve and paint geometry fluidly in a connected online world. Getting this to work, and work well, took a fair amount of effort and I'll explain some of the technical details here. The post follows on from the earlier post on Octree Streaming. You should be able to read them out of order, but you get cake if you read part 1 first. Our latest tech update video shows off players moving through the world shortly after joining the game - the video starts only a few seconds after where the last one ends, so about 30 seconds after loading. At this point large sections of the world are still being streamed to clients, but the prioritization of nearby regions ensures detail is present close to the player. The original Avoyd stored the internal voxel representation of its game world as a standard 3D array. At the time this provided a good trade off between performance and memory for the size of levels we required for a multiplayer PvP game with a fully modifiable environment. In the new version we wanted to increase the size of worlds we could handle, whilst maintaining large view distances. 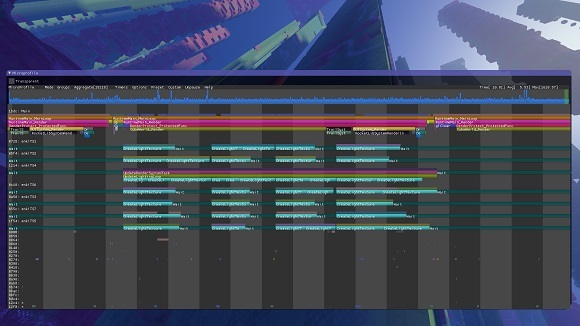 Our second technology update video shows off how the voxel octree streaming gives rapid loading over the internet. I was recently testing my LAN server browser dialogue menu with multiple machines running servers when I encountered an unusual issue. I had two machines, each running a server and a client. On one machine the client could see both servers, but on the other machine only the local server was found. The application had firewall permissions, and since the server was both sending and receiving packets without problem the firewall didn't seem to be the culprit. Working LAN discovery with two servers running on two different machines. Note the two IP addresses listed for Machine 1.